Elijah Hudson "Elk" Gallagher is easily one of the names that I hear most frequently tied with Overwatch League Season 2. Prominent community figures and players alike all have spoken very highly about the 18-year-old native New Yorker. However, Elk has been through the competitive ringer for the last two years and has a lot of experience at his disposal. Formerly a player for teams like East Wind, Evil Geniuses and even flying to Southeast-Asia to join MEGA Thunder, Elk has likely seen it all. 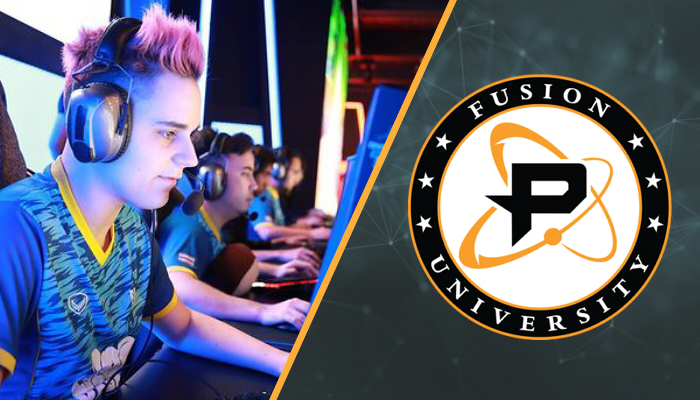 Elk now works under the Fusion University’s banner and is quickly shaping a very successful track record with the team. As the reigning Overwatch Contenders North American champions, Esports Heaven caught up with Elk as he prepared for his upcoming grand final match against XL2 Academy to talk about his history in card games, his future as a player, specialty in Overwatch and what it means for the future of the game. ______ From my understanding, you’ve come from a very unique background in terms of gaming, coming from Chess and competitive trading card games. What are some of the biggest core concepts that you’ve taken and applied to Overwatch? What are some of the more uncommon or lesser known skill sets these games have given you? I think the main thing I've gained from my background in chess and other strategy games is that I'm calm in the high pressure situations. One game that you bring up often is Magic the Gathering, a popular trading card game. Could you talk a little bit more in-depth with regards to your history with it and which decks you tended to gravitate towards? So, for MTG I really liked combo decks cause they seemed the hardest to play. Due to the price of playing legacy I went towards the modern format. My first successful event I played a now banned deck called "Amulet Bloom" that was very complex and interested me for that reason. After that I started playing midrange like Jund. As a man of many talents, you’ve been able to reach top 500 with multiple different roles in the past. Do you think as Overwatch continues, that skill set will become more and more valuable? I actually hope it doesn't. One of the coolest things about Overwatch is needing so many different kinds of people to pull off a good team, [but] I'd like Blizzard to push even harder to make them more complex and harder to learn. Many players know you for your amazing Ana play and you’ve been fairly public saying that the character is more of a stylistic choice for your team. Do you think there are other heroes that could be viewed in the same sense? If so, who are some of the heroes that teams could really craft a style around? I do think there is more room for stylistic choices in teams, but also think the issue is with Overwatch as a whole. With under 30 heroes it's hard to have that kind of diversity and find team comps that work "better" than the meta. Blizzard has done a great job with map design to push different strategies but I don't know if its enough alone. “Elk” has been a name that has not only been synonymous with Fusion University but in the discussion for Overwatch League Season 2. In a previous interview, you mentioned that you’ve been holding out because you thought you needed to work on your mechanics. When did your inner tone shift from not being ready for the Overwatch League, to being ready for the big leagues? I think the main thing is I had just come off a win with team Sun With Face Clap (SWFC), a pickup team for the Overwatch Heroes Rumble 2017 with Mangachu Ishiny Zacharee Kellar and Goliath, but previously to that I played in OPC Season 2 with Mega Thunder. We went like 6-20 and almost got relegated. I wanted to prove to myself that I could win Contenders Season 2 and feel comfortable in my abilities. You seem to be ever growth focused and have a good grasp on your long-term strategy as a player. Couple that with an interest in data and analytics, and with your experience as a professional player, do you ever see yourself stepping away from the game directly and taking a more supportive role as coach or analyst of an Overwatch League team? Maybe even desk work? I wouldn't rule it out but I very much like being competitive so I haven't really thought about it. Playing within teams with language barriers has got to be something you are familiar with -- an expert one might say. In your experience, do you think teams that have a language barrier tend to reach a plateau early? I think language barriers make complex strategies really, really hard. Not only do you need to be able to change them mid-game but even going over VODs it can be hard to communicate. Overall, I think it can be overcome, especially in competitive environments. _____ Joseph “Volamel” Franco has followed esports since the MLGs of 2006. He started out primarily following Starcraft 2, Halo 3, and Super Smash Bros. Melee. He has transitioned from viewer to journalist and writes freelance primarily about Overwatch and League of Legends. If you would like to know more or follow his thoughts on esports you can follow him at @Volamel. Images courtesy of Blizzard Entertainment.